There is much conversation in my church right now about whether we are a declining church body and whether or not we will survive this decline. So, purveyors of statistics tell us that we are in for a long slow, steady dip before we hit rock bottom and recover. Not exactly the message you want to hear if you are a believer faithfully caring out the work Christ left the church to do. Here’s the thing, the numbers are the numbers, right? We have to trust the numbers, the numbers wouldn’t lie, right? Na, Na I say the numbers are lying. Here is what we know about the church. Chuck Colson summarized it nicely in his book, The Body, 1992, Word Publishing, p. 70. “Yet membership in a confessing body is fundamental to the faithful Christian life. Failure to do so defies the explicit warning not to forsake “our assembling together.” His understanding of this prompted Martin Luther to say, “Apart from the church, salvation is impossible.” Not that the church provides salvation; God does. But because the “saved” one can’t fulfill what it means to be a Christian apart from the church, membership becomes the indispensable mark of salvation. it does not return to me empty. and accomplishes what I intend. The numbers do not define us, they serve as useful data. But God’s mission is still needed. If anything, the numbers prove that God’s mission is needed more than ever. The church is facing stiff competition for the heart of culture. This writer captures the challenge well by comparing the church to sports. Every time I went, they asked me for money. The people with whom I had to sit didn’t seem very friendly. The seats were too hard and not at all comfortable. I went to many games, but the coach never came to call on me. The referee made a decision with which I could not agree. see their friends and what others were wearing rather than to see the game. Some games went into overtime, and I was late getting home. The band played some numbers that I had never heard before. It seems that the games are scheduled when I want to do other things. them to choose for themselves what sport they like best.”- Author Unknown, At Calvary, Covington, KY.
One of the most hurtful things the idea of church attendance has planted in the America Christian psyche is that “if you are not growing as a church you are a failure as a pastor and congregation.” So, we play the comparison game with our younger self. So, how were we doing 10 years ago today? Imagine doing that in your life now. Compare your fifty-year-old body to the body you had in your twenties, how is that comparison going to turn out? And we judge our shepherds on the number of new converts. And our church body on the number of new churches planted. If you want to stop that madness, then we need to find new ways to gauge the congregational health and denominational health. By putting the health report numbers of attendance and weekly offerings in the Sunday bulletin, we are asking those reading it to judge our success based on those measurements. And we are buying into a false narrative about the effectiveness of the Word of God. When the church continues to miss the mark of the weekly recording of those numbers it only serves to further demoralize the membership and even an entire church body. So, if you don’t want to be judged by those figures and feel like you are losing the battle, start tracking other things. Not to mention the numbers are Holy Spirit driven numbers, and we can’t control His work anyway. Instead, track numbers that help hold your church accountable for those things that the church in Acts was measuring: people studying God’s word, the number of individuals engaged in living life together in community, the number of people helped with the offerings of God’s people, the number of prayer gatherings and the number of answered prayers. Imagine measuring in church what God is doing among his people vs. the number of individuals coming on one day a week? Isn’t faith a 24/7 thing not just one hour on Sunday? What are the things we want to measure? What steps do we need to take to accomplish this shift in our culture? Amen! When the music is great, and the preaching is centered on the Good News, but the church attendance is in decline, when guests attend a service but don’t come back, then the problem lies in the heart and attitude of those who are attending. 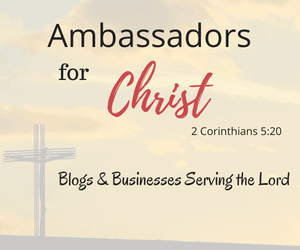 In response to your blog today, I feel that the sermon messages need to take from the bible and relate to today for the congregation to be able to apply the message to our daily lives. This isn’t happening in our church as I see it. What to do is the answer? When I ask people who leave our church this is what their answers are?? Interesting post. Personally, I think God is in the business of quality rather than quantity. I don’t know about the US, but here in the UK church attendance has plummeted. However real Christians with a strong personal connection to God, who pray, believe and live the life often acting as a catalyst for miracles are definitely on the increase! When I was a child most people went to church but were simply going through the motions of what was socially acceptable. Nowadays it costs to be a Christian, the ones there are tend to be either very old or the real thing. Either way the Bible predicts Jesus will not return till there is first a falling away. Things seem to be right on course! I think this needs to be looked at from a number of perspectives. We count people in worship attendance, because people count (there is a book in the Bible called “Numbers” as well as the book of Acts records the number of people who were added to the community through baptism), and the number of people worshiping regularly is relevant. But Sunday church attendance and the offering (and that’s important too) are not the ONLY or the most definitive measurements of a church and its effectiveness. You make a great point. We should be looking at (and indeed trying to measure, if that is possible) what God is doing, not just what man is doing. Your suggested measurements are helpful: people in Bible study (and one should not only count those who are in the Bible studies offered at the church building), people in community together, people helped by the offerings of the church, prayer gatherings, and especially answers to prayer (as your good suggestion is to try to measure what God is doing). Testimonies, stories of what God is doing in people’s lives, can also be helpful and encouraging to the people. Excellent and helpful article! Thanks! Thanks for that input Phil. Have a blessed day. I like your perspective. As a minister, I’ve always thought about this but you’ve really put it all out on the table there. As a church we got to start thinking more about the growth of the people instead of the growth in numbers. Blessings to you on your ministry. Investing in people is very rewarding. Good food for dialogue here. I wonder if we also need to clarify, contextualize, and offer a new hope for a 21st century follower of Jesus. Church attendance and offerings were great in “Christendom”, but in a Digital Babylon (a Barna term), show up once a week for something I can find on wikipedia or google isn’t going to cut it. And why give someone else money when I can meet the need, myself. Yes, the church will weather the storm and the early church didn’t track attendance (they celebrated impact), but we must give exiles (Kinnamann) an invitation to innovate, the freedom to be, and the permission to create something new (and resource it with them). As always, insightful and true. Churches need to develop new metrics to measure congregational health. This is true whether they are a business church or a house church. The idea that you’re only healthy if you are growing numerically is false but also detrimental. Churches are called to seasons of growth, not growth every season. Sometimes a church needs to mature before growing, or should be focused on training and enabling it’s members to minister instead of focusing on how much money was brought in – or how many butts were in the pews! Thank you, Jared, for the kind words and the points you made are spot on. We do have seasons of growth, but those are not always numerical. Thank you. I pray it is a source of encouragement. Amen! The numbers do not define us, they serve as useful data.